From the creative team who brought you The Lion King and Beauty and the Beast comes an exciting quest of adventure and discovery. Join the expedition and search below the sea for one of the greatest mysteries of all time ... Atlantis: The Lost Empire. The world's most highly qualified crew of archaeologists and explorers are led by historian Milo Thatch as they board the incredible 1,000-foot submarine Ulysses and head deep into the mysteries of the sea. The underwater expedition takes an unexpected turn when the team's mission must switch from exploring Atlantis to protecting it. 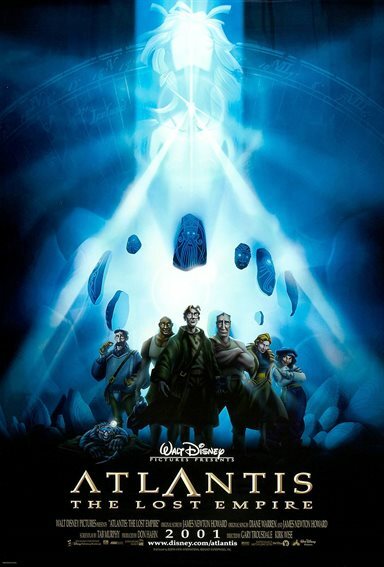 Download Atlantis: The Lost Empire in Digital HD from the iTunes store. Atlantis: The Lost Empire images are © Walt Disney Pictures. All Rights Reserved.